The high cost of dedicated leased lines needed for branch office communications. The need to allow employees a method of securely connecting to the company's network when they were on business out of town or working from home. VPN will help increase productivity in your company as well. Connecting two or more offices together, accessing company files from home or on the road are very much needed in today's business world. Timeer Networking Services makes sure that you can access the files securely from anywhere in the world as long as you have an Internet connection. We provide the most up to date technology in VPN (Virtual Private Networking) world. If you have any question about our VPN services, please contact our Houston office, or you can use the Contact Us form to get in touch with our consultant. Our experienced team in Houston TX will be more than happy to assist you. One of the most popular types of Virtual Private Networking is SSL VPN. To learn more about SSL VPN please go to our SSL VPN page. Virtual Private Networks (VPNs) allow organizations to securely extend their LANs over the Internet by encrypting the data traffic. VPNs create the ideal infrastructure for providing a secure method for the exchange of data and network resources with employees, partners, suppliers and business associates. 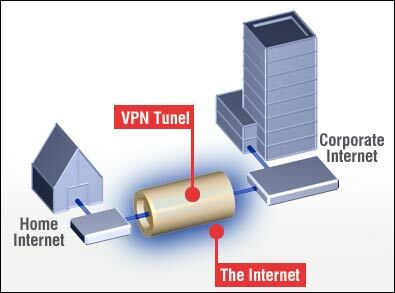 A VPN uses a special protocol to establish a virtual channel between two machines or two networks. This channel is actually a temporary direct session. This is what is commonly referred to as tunneling. Then the VPN also exchanges a set of shared secrets to create an encryption key. The traffic traveling along the established channel is wrapped with an encrypted package that has an address on the outside of the package, but the contents are hidden from view. The original contents are hidden from view, but it has enough information to get it to its destination. After the data reaches its destination, the wrapper is safely removed. So, do you need a VPN? If you do, please contact our Houston office, or you can use the Contact Us form, and someone will response promptly.